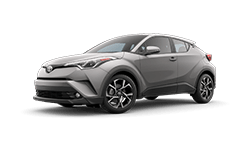 The 2018 Toyota C-HR from Pinehurst Toyota in Southern Pines, NC – serving Aberdeen, Sanford, Pinehurst, Asheboro, Rockingham, Laurinburg, and Raeford – is a confident SUV designed for the ultimate adventure. With its precision cut exterior inspired by the sharp edges of a diamond, the C-HR delivers exceptional style that’s guaranteed to attract some extra attention. The impressive profile is paired with vortex-styled, 18-inch, sport alloy wheels to complete the dramatic appearance. Fuel your next trip with the standard, 2.0L 4-cylinder engine and get an estimated 27 MPG in the city and 31 MPG on the highway.1 Make room for every last item on your list using your roomy cargo hold and 60/40 split-folding rear seats. Command our entertainment on your 7-inch touchscreen display, which includes Bluetooth hands-free capabilities and available navigation. 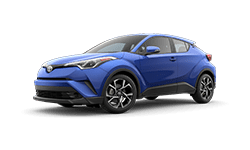 You don’t want to miss out on owning a 2018 Toyota C-HR from Pinehurst Toyota! We have amazing offers on 2018 Toyota models happening now, so plan your visit to 10760 Highway 15-501, Southern Pines, NC, for a test drive. We can’t wait to send you home in the new Toyota you’ve always dreamed of! Distinctive style meets rebellious spirit in the first-ever 2018 Toyota C-HR. Introducing an edgy new ride that effortlessly takes center stage. Uniquely expressive, C-HR's precision-cut lines shine from every angle. Power C-HR is a lively 2.0-liter inline 4-cylinder Dynamic Force Engine with Toyota's advanced Valvematic technology. 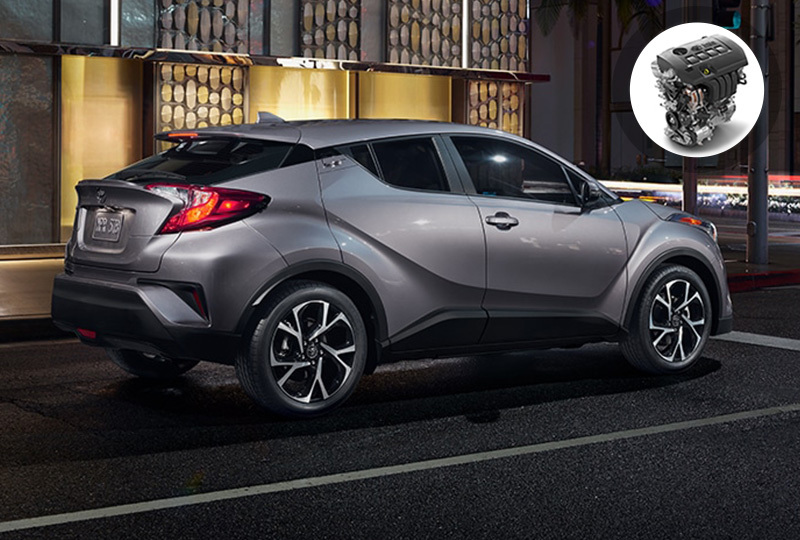 Designed to give you an optimal blend of handling performance and fuel economy, C-HR helps you get to the party quickly with a manufacturer-estimated 27/31 mpg. When you're always on the move, you don't want to waste time searching for your keys. 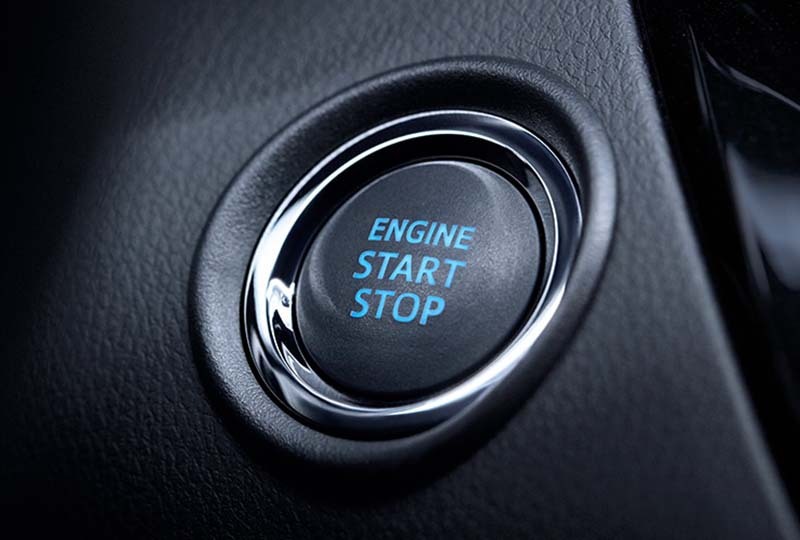 That's why C-HR is available with the Smart Key System with Push Button Start. 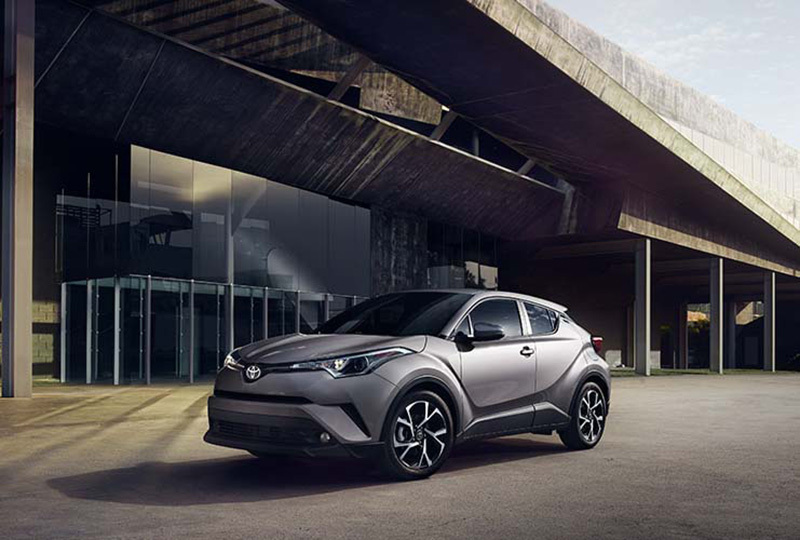 This lets you unlock the front doors and rear hatch, plus start C-HR, far more easily - all while the key fob sits comfortably in your pocket or bag. Advanced, high tensile-strength steel goes into the construction of every C-HR. This material is strategically placed to help increase body rigidity, offering you a smooth ride every time you get behind the wheel. 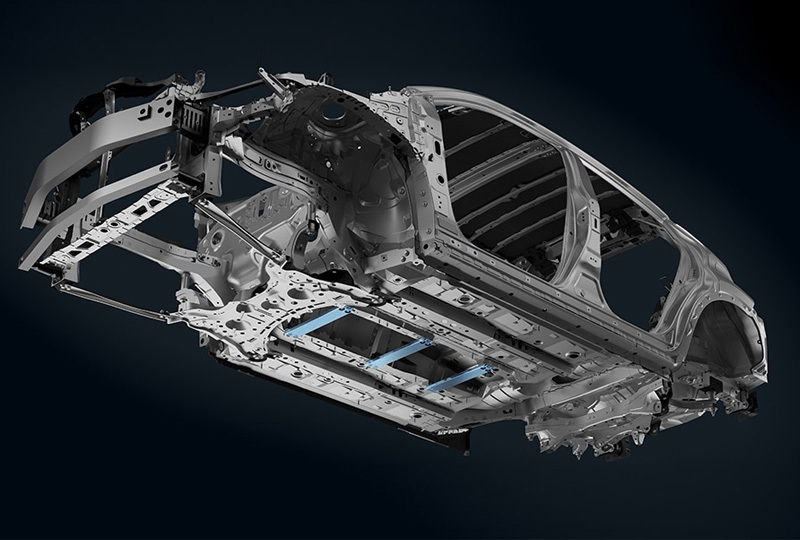 High-tensile-strength steel also helps stiffen up C-HR's chassis for enhanced handling. 1. MSRP excludes the Delivery, Processing, and Handling Fee of $885 for Cars, $960 for Small/Medium Trucks, SUVs and Van (Sienna, C-HR, RAV4 Gas, RAV4 Hybrid, Highlander Gas, Highlander Hybrid, 4Runner and Tacoma), $1,195 for Large SUVs (Sequoia, Land Cruiser), and $1,195 for Large Truck (Tundra). (Historically, vehicle manufacturers and distributors have charged a separate fee for processing, handling and delivering vehicles to dealerships. Toyota's charge for these services is called the "Delivery, Processing and Handling Fee" and is based on the value of the processing, handling and delivery services Toyota provides as well as Toyota's overall pricing structure. Toyota may make a profit on the Delivery, Processing and Handling Fee.) Excludes taxes, license, title and available or regionally required equipment. The Delivery, Processing and Handling Fee in AL, AR, FL, GA, LA, MS, NC, OK, SC and TX will be higher. Actual dealer price will vary. 11. The Smart Key System may interfere with some pacemakers or cardiac defibrillators. If you have one of these medical devices, please talk to your doctor to see if you should deactivate this system. 17. Drivers are responsible for their own safe driving. Always pay attention to your surroundings and drive safely. Depending on the conditions of roads, weather and the vehicle, the system(s) may not work as intended. See Owner's Manual for additional limitations and details.